One of the major challenge of exporters in most parts of the word is getting buyers for their products. The fact that export business involves trade across borders makes it very difficult to get across to the various intending buyers around the world due to the distance, language barrier, cultural differences and many more factors. Getting purchasers and signing an export contract (agreement, purchase order, sales & purchase contract) mark the commencement of an international trade transaction. Invariably, an export contract can be defined as a document that needs to be signed by both importer and exporter before a legally binding international trade can take place between them. The questions that anyone looking to get purchasers and sign an export contract with them need to answer in the business should include the following: What the content of a typical contract are? Where can one get the links to buyers? When should an exporter go ahead to sign the export contract? Who are the people that can link exporters to buyers? Why does the exporter need to sign an export contract? Which contract terms are most preferred? How can one secure an export contract from buyers abroad? Dispute resolution, Inspection, Insurance, Force Majeure, Termination, Special Conditions, Governing law, Juridictions and Signature of Buyer & Seller. The next and very critical question is, when should an exporter go ahead to sign the export contract? It is extremely important that an exporter should not rush to sign an export contract until he has been able to answer the following questions. Where do I intend to get the items to be exported? Does the source have enough quantity of the items to meet the volume demanded in the contract within the specified period? Can I transport the required quantity to the port and still be able to ship them abroad within the shipment period? How much do I need to raise in order to fund the export project? Do I have all the funds for the project? Do I need to source for equity or debt to fund the deficit? Can I get the funds for the project and still be able to ship within the stipulated shipment period? As soon as you sign the contract, the time starts ticking and so it is wise for you to ensure that the questions about source of goods, funding and logistics are answered before the contract is signed. The fourth question is, who are the people that can link exporters to buyers? Some of the people that an exporter should look out for in their search for links to buyers abroad include: Trade brokers, friends and relatives abroad and existing exporters. The trade brokers are professionals who specialize in connecting buyer's to sellers around the world at a fee. A number of these brokers are commissioned by buyers to help them search for products to buy. They are also engaged by sellers to help them market their products and search for credible buyer's around the world. A number of these brokers are fund in London (covering Europe), New York (covering North and South America), Dubai (covering Africa & Middle East) and Shanghai (Asia). Another very credible channel of getting buyer is working with friends and relatives abroad. This is a less costly and reliable channel because it involves a known person. The details of how this works will be discuss in one of the subsequent editions of export matters. The last one with least probability is getting buyer's through current exporters. Except for exporter who have a large heart, willing to see other people grow and knowing fully well that the market is large enough for everyone, most exporters do not like to reveal their buyer to intending exporters. The fifth question to be answered is, why does an exporter needs to sign an export contract? Why can't he just get a proforma invoice and base on this ship the goods? It is very important that things do go wrong in international trade and the only way to seek a redress and get a judgment in your favour if the other party have erred is through a contract that both of you have signed. If there is no binding agreement showing the roles and responsibilities of the parties then it will be difficult to hold the erring party to account when things go wrong. The second to the last question is, which contract terms are most preferred? This means the terms of delivery which is also called the Incoterms. These are international commercial terms that defines the where the risks and costs of the exporter ends and where that of the importer starts. It is wiser for the exporter to choose the terms that is first reasonable and also enables the exporters to incur minimal cost with his risk ending on or before the port of loading. 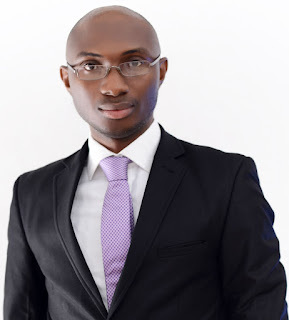 Reasonable in the sense that it does not requires the importer to come and pickup the goods at your warehouse in Nigeria (Ex-Works-EXW) or a shipping line terminal (Free Carrier-FCA) when a lot of your competitors are willing to deliver to the port. Largely in Nigeria, many deliver to the port using Free on Board (FOB) Cost and Freight (CFR). However, if you have a higher power in the negotiation, then you can go for EXW or FCA. The last in the series of questions to be answered as an exporter seeks for purchasers is how can one secure an export contract from buyers abroad? Having been able to get a link to a buyer, how them do you eventually secure the contract? You need to demonstrate credibility (your consistency of result in export business or other businesses that you have done), cohort (the experience of the team working with you), competence (to deliver the right quality and quantity), character (that you will abide by what will be signed in the agreement) and cash (that the cash to do he business is available or will be made available as at when needed). These are traits that you must have and also find a way to communicate in all your conversation with the intending buyers. Finally, I will like to state that if the challenge of getting purchasers are going to be surmounted by an exporter, then the seven questions posed in this edition of export matters have to be adequately answered. Pricing is undoubtedly a very important part of any business. 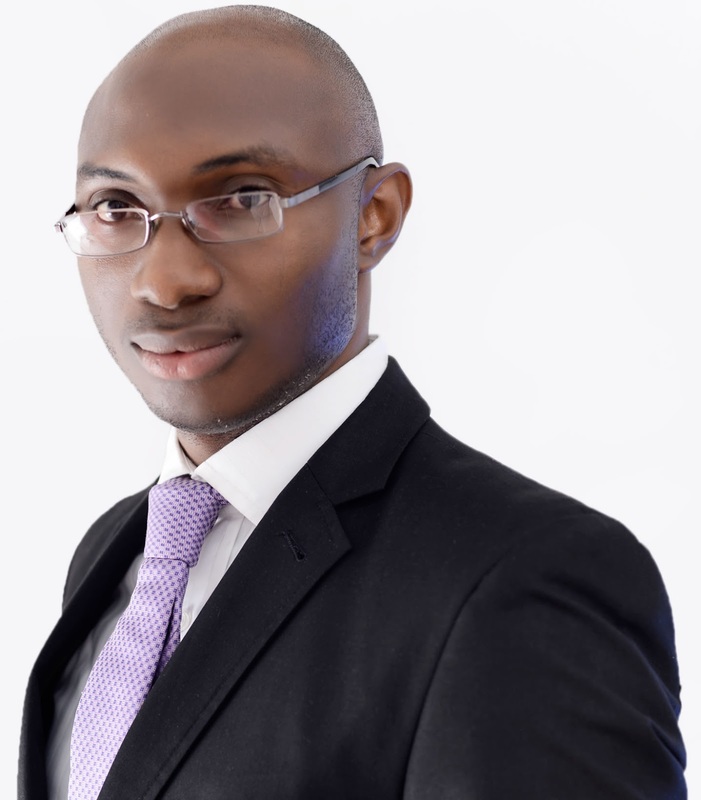 It determines the profitability of the transaction and consequently the continuity of the business concerns. It is a variable that is depended on three factors namely the cost, the demand and the competition. The first variable which is cost is mainly local factor while the second and the third variables are international factors which must the studied and well understood before an exporter set the the pricing for his product in the e port market. In order to be able to address the pricing issues in an export transaction, an exporter must be able to answer the following seven important questions namely: What are the cost elements to be incurred in a typical export transaction? Where do I get the amount involve in each of the cost elements? Who are the people to be paid in executing the export projects? When am I supposed to pay the freight forwarding agents? Why do we need to pay the bank and government? Which of the cost elements can be avoided? How does International commercial terms (Incoterms) contribute to the cost elements? I will try to address these questions in general in this article, however an exporter needs to do more research in order to know other likely costs that are peculiar to the selected product. The first question states that, what the cost elements are? The cost elements in a typical export project include the following: Product Cost, Transport cost to the warehouse, Warehousing cost, Transport cost to the port, Freight forwarder fee, Shipping Line local charges, Freight Charges, NXP processing fees, Nigeria Export Supervision Scheme (NESS) Fee, Port Logistics fee. Other fees include SON or NAFDAC fee, Marine and good in transit insurance (GIT) Insurance fee, Quality and quantity Inspection fee, Certificate of origin fee, Fumigation certificate fee, Phytosanitary Certificate fee, Bank commission on Export Proceeds and Interest Rate. The next question that needs to be address is, where can I get the amount involve in each of the of the cost elements? It is important for the exporter to know that some of these fees are fixed while others are the determined by the nature and the selling of the item being shipped. The amount involve in each of these fees can be obtained from banks, shipping line, haulage firms, government agencies, freight forwarder and inspection agent. 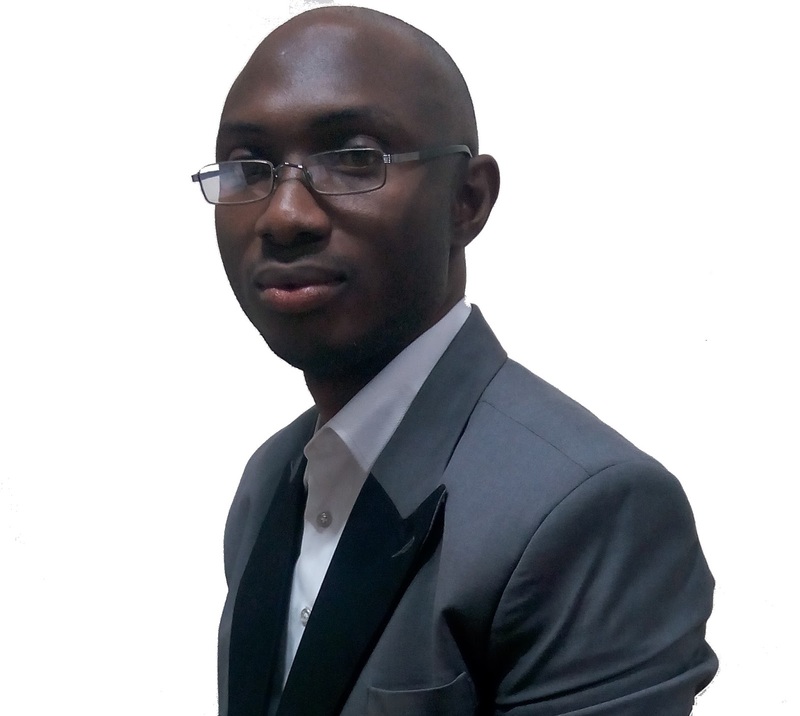 For example NXP processing fee is N5,000 irrespective of the value of the product stated on the form. On the other hand, some fees are fixed as a percentage of the selling price, for example the NESS fee is 0.5% of the FOB value ( products cost plus profit), while marine and GIT ranges from 0.3-0.5% of the product cost. Some other charges are paid per container and this include the freight forwarder's fee, shipping line local charge, the freight charge and the inspection fee. The other fees like Certificate of origin fee, Fumigation certificate fee, Phytosanitary Certificate fee, SON or NAFDAC fee are charged based on a number of other variables like quantity, amount etc. The third question to be answered by the exporter is, who are the people to be paid in the export project? The Product Cost is paid to the supplier, Transport cost to the warehouse and Transport cost to the port will go to the haulage firm, Warehousing cost will go to the warehousing company, the Freight forwarder and Port Logistics fees will go to the freight forwarder, Shipping Line local charges and Freight Charges go to the shipping line, NXP processing fees, Commission on Export Proceeds and Interest Rate (if any) go to the bank. The other fees like Quality and quantity Inspection fee goes to the inspection agent, the Marine and GIT Insurance fee go to the insurance company and lastly, the Nigeria Export Supervision Scheme (NESS) Fee, SON or NAFDAC fee, Certificate of origin fee, Fumigation certificate fee and Phytosanitary Certificate feeble to the respective government agencies. The fourth question that needs to be answered by the exporter in the planning stage is, when am I supposed to pay the freight forwarding agent's fee? First of all, we need to define the job of the freight forwarder. This is a custom licensed agent that arrange the shipment of goods to international destination. He is engaged to cleared the goods for export and process the post export documentations. His job could also include other things like processing pre export documentations, payment of NESS fees etc depending on the agreement with the exporter. We recommend that you pay the agent an advance that covers all his costs (about 70%) at the point of engagement and pay the 30% balance which is mainly his profit after he must have delivered the Bill of lading and other agreed post export documentations to you. The next question is, why do we need to pay the bank and government? All the documents required for pre export documentations processed through bank. The bank is a private and profit oriented organisation and therefore will charge for its service. These include the NXP processing fee and commission on the export proceeds for documents handling. Other other hand, a number of costs are charged by government through all its agencies probably to generate revenue for the various government agencies. However, it will be important to say that fees being charged by government agencies are very minimal. It may also interest you to note that no export duty is paid on items exported out of Nigeria and not VAT is charged on the export proceeds received from abroad. The second to the last question involves cost reduction and it reads, which of the cost elements can be avoided? The avoidance of the cost elements is dependent on the nature of the item being exported, the procurement strategy and the Incoterms agreed with the buyer. For example, if you are exporting solid minerals and finished products, goods can be transported straight to the shipping line terminal and the quality inspection can be done there. This helps the the exporter to avoid the cost of warehousing and transport to the port. Other cost element reduction comes with building relationships, experience in the business and the volume of shipment being done. The last question that also needs to be answered by the exporter as he tries to determine the pricing of the shipment is, how does Incoterms contribute to the cost elements? Incoterms is international commercial terms that determines where the risks and costs of an exporter ends and where that of the importer begins in an exporter transaction. There are 11 of them in the most recent revision tagged Incoterms 2010. If the Incoterms is Free on Board FOB for example, that means the cost of the exporter ends while the goods are on board the vessel at the port of loading. The exporter incurs minimal cost here unlike Cost and Freight (CFR) where the exporter where the exporter incurs the freight charge (transport cost from the port of loading to the port of discharge) which is an additional cost to destination. An exporter needs to read more about these trade terms of his export transaction in order to know his costs and risks before signing the contract. 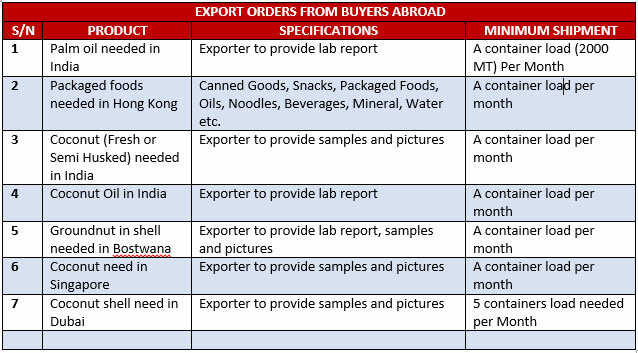 On a final note, pricing of an export transaction determines the viability, an exporter should therefore research into getting more detailed answer to these questions in order to make his export Business a success. THE Federal Government has banned wood and charcoal exportation, following exporters’ refusal to adhere to the directive of cut-one plant-two policy. The Chief Executive Officer of Nigerian Export Promotion Council, NEPC, Mr. Olusegun Awolowo, disclosed this at the just-concluded two-day retreat organised by the United Nations Industrial Development Organisation, UNIDO, at the Free Trade Zone, Onne, Rivers State, for the Ministry of Industry, Trade and Investment and its agencies. 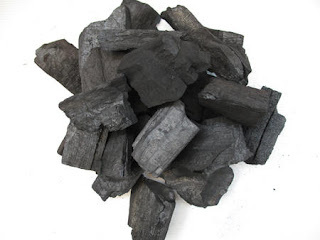 Awolowo told Vanguard that the new directive had thrown exporters of charcoal into confusion as some of them had existing agreements with their partners abroad. He said government must explain the reason for the move, adding “I just got that circular; this is part of the policy somersault we are talking about. “How can the government ban charcoal when people have been processing it? They did not even carry exporters along.” Also confirming the development, Customs Public Relations Officer of Tin Can Island Port, Mr. Chris Osunkwo, said they were aware of the ban, adding that they were, however, waiting for the memorandum. Commenting on the development, Mr. Giovani Locano, General Manager, China Shipping, told Vanguard that he was not aware of the fact that charcoal had been banned. Anyone starting a new business venture will obviously desire success in the new endeavour. However there are peculiar factors that contribute to success of any business in any area of human endeavour. For the non-oil export business, these factors will be described as the 5Ps that are critical to non-oil export business. These factors include Products, Pricing, Purchasers Paperwork and Payment. An export business plan that does not answer the questions around these factors is dead on arrival. So the aim of any export business plan should be to answer the questions the surround these 5 factors as described in this article. 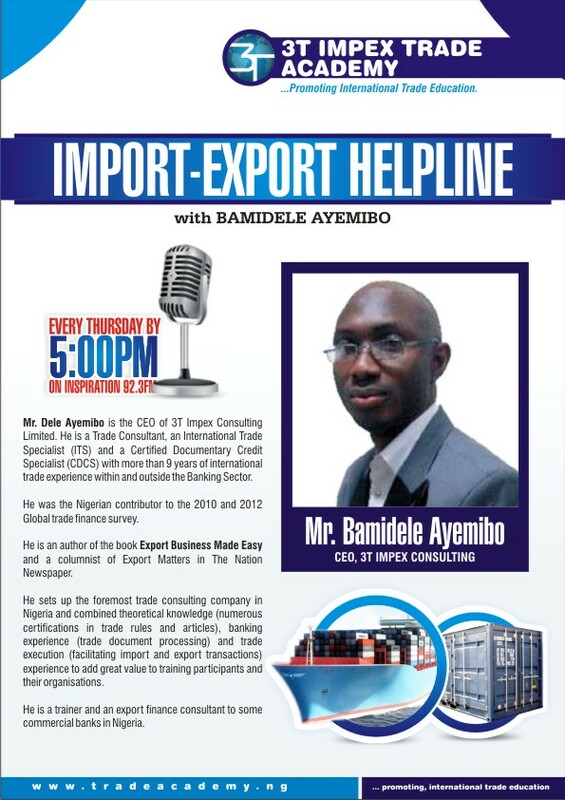 This edition of export matters will focus on product while the subsequent edition will address the other factors. One of the very important factor to be considered as you go into export business is the product. An exporter needs to understand the what, which, where, when, who, why and how of the items being exported. The first question that the exporter needs to answer is, what are the exportable products from Nigeria? This is then followed by the second question, which of these products would I like to export? Then the he needs to now answer the question, where do l source for the product in the country? Another very important question is, when is the best time to source and export the item in the year? Then comes another vital question which is, who are the major buying countries abroad? The exporter also needs to understand this question, why do we have either more or fewer exporter trading in this item in the country? Finally, the last and very vital question is, how can the items be exported without quality issues? Before an exporter decides on which of the products he will like to export, it is very important to know the items on the export prohibition list as stated on the website of the Nigeria Customs Service. These include Maize, Timber (rough or sawn), Raw hides and skin, Scrap Metals, Unprocessed rubber latex and rubber lumps, Artifacts and Antiquities, Wildlife animals classified as endangered species e.g. Crocodile; Elephant, Lizard, Eagle, Monkey, Zebra, Lion and finally all goods imported into Nigeria. The next consideration in the choice of item to be exported is the amount of capital available. Base on this, you can select the different types of product that your capital can carry and then narrow down to the last few items based on purchasers, pricing, product outing challenge etc. Upon determination of the items to be exported, he can then begin to look for where and how to source for it locally. This can achieved via Internet research, visit to relevant government agencies like NEPC, visits to mines to meet miners, visit to farms to meet farmers, contacting relevant cooperatives, visit to manufacturers and registering as a distributor. In the case of commodities, the exporter also need to decide the model to be adopted in buying, is it going to be buying at the farm gate or at his own warehouse. If at his own warehouse, when will the payment be made? Is it before or after the delivery? After this comes the question, when is the best time to source for this commodity? This depends on the product. For the solid minerals, the period spanning between the beginning of the dry season (October) to the middle of raining season (June) is most preferred. However for agricultural commodities, it varies from one product to the other and from one part of the country to the other. For example Raw Cashew nuts (February to May), Ginger (November to May), Sesame seeds (November to June), Hibiscus flower (November to February), Shea nuts (June to October). The harvest period, for different Agro commodities, has been put on a chart to enable readers view at a glance in my book titled Export Business Made Easy. The next question to be answer is, who are the major buyers abroad? This question is very vital because it lets an exporter confirm there is a market and also assess his risk of going into the available market. For example, most of the hard (solid minerals) and soft (agricultural) commodities from Nigeria go to Asia, while most of the processed and finished goods are exported to Europe and America. For more details on this question, you can do an online research and also visit NEPC to obtain data on the destinations of the products exported from Nigeria. The second to the last question is, why do we have more or few exporters trading in the item you have selected for export. This question is very important because it helps you to know why some products have more people exporting it than the other. Generally, most products that requires some level of value addition tends to have lesser number of exporters due to the cost and competence involve in processing. On the other hand, items exported in their primary state tend to have more exporters because of the lower cost and competence needed to do the exportation. The last and most important question is, how can the selected item be exported without quality issues? This question is very vital the inability to answer it will make or mar the whole export transaction. To answer this question, it is important that an exporter know the need to and the possibility of doing quality and quantity inspection through a competent inspection agent before the shipment of the goods. This should be done before the exporter path with cash and pay for the goods either at the farm gate or at the his warehouse. If it is finished goods, then the exporter should ensure that the relevant authorities have approved the quality of the products before shipment. In conclusion, I will like to say that a critical examination and answering of the questions raised in this article is very critical to the success of any export trade transaction.